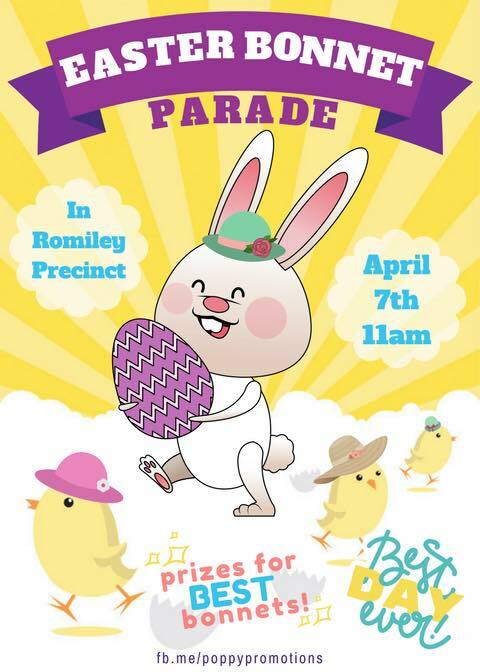 During the April Romiley Village Market this weekend, Poppy Promotions are running a children’s Easter Bonnet Parade. Children bring their own pre-made Easter bonnets to show off on market day. Each child will get a small chocolate egg and there are prizes for best bonnets (1st, 2nd 3rd) and rosettes. Any children interested in taking part in our Easter Bonnet parade should meet in the Precinct near Mellors Cafe Bar at 11.00 am.